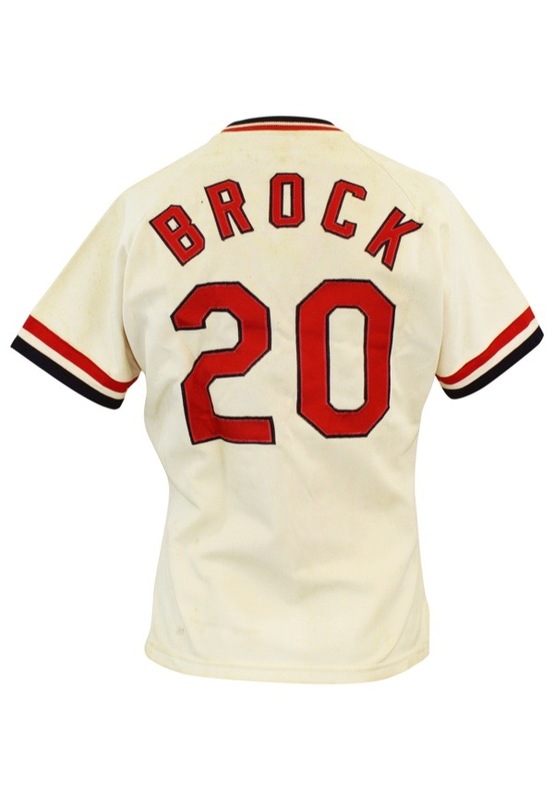 Lou Brock was inducted into the Baseball Hall of Fame in 1985 on the first ballot. The six-time All-Star is a two-time World Series champion and is second all-time in stolen bases behind only Rickey Henderson. Brock’s No. 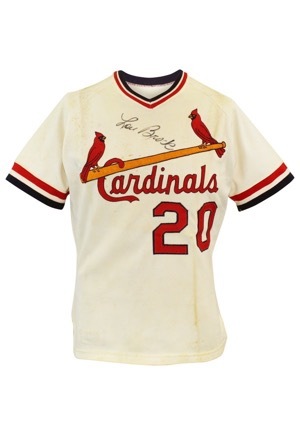 20 is retired by the St. Louis Cardinals. 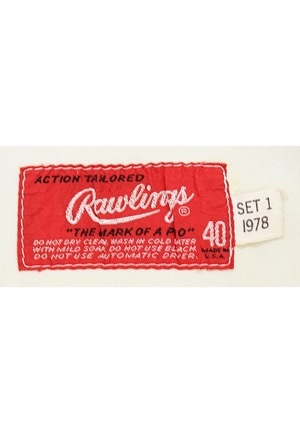 On the inside front right tail is the Rawlings manufacturer’s tag size “40” with washing instructions. Attached is a flag tag reading “SET 1 1978”. 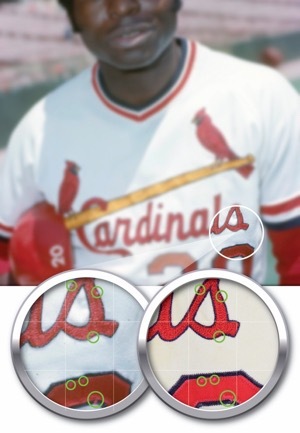 Across the chest reads “Cardinals” beneath their team “Birds on a bat” logo done in red, navy blue and yellow embroidery. Adjacent below and on the back is the player number “20”. Across the back is the player number “BROCK”. These all are done in red on navy blue tackle twill. 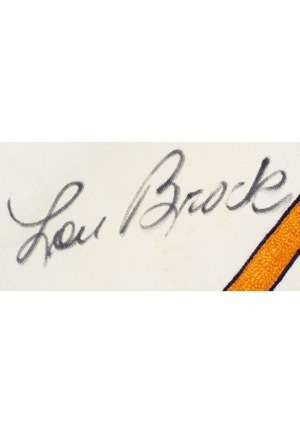 Brock signed the front of the jersey in black marker and in our opinion the signature rates a strong 8. There is light dirt staining throughout. This jersey is properly tagged, was presented to us as game-used and in our opinion shows outstanding use. Accompanied by a LOA from Photo-Match.com confirming the match and grading the jersey a perfect 10.